After a hard fought election the outsider with radical ideas won easily. He was a trial lawyer with a reputation for fighting for justice in and out of the courtroom, winning cases, and sticking to his principles even when it made him unpopular. For years he was a thorn in the side of corrupt politicians. Now he was Philadelphia’s top law enforcement official. He ran his campaign on a promise to transform local politics, and his unlikely victory turned conventional wisdom on its head overnight. 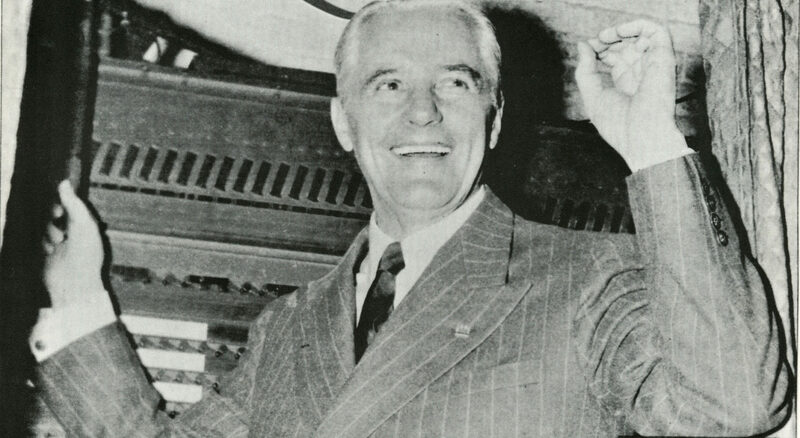 The year was 1951, and Richardson Dilworth became the first Democrat elected District Attorney in Philadelphia history. Fast forward to 2018, Larry Krasner – a defense attorney who sued the Philadelphia Police Department 75 times – took the reins of the District Attorney’s office. Krasner campaigned for reform of the office – promising a change of policies and culture, and it hasn’t been without controversy. It seemed unprecedented when Krasner fired 31 staffers in his first week and took on corrupt cops, but missing from our collective memory is that Philadelphia has seen this kind of District Attorney before. Dilworth entered a District Attorney’s office in disarray. Philadelphia politics was corrupt – to put it mildly. In 1903, muckraker Lincoln Steffons famously called Philadelphia, “the most corrupt and the most contented,” city in America. By 1952 Philadelphia was only just beginning to reckon with its reputation and clean up City Hall. Dilworth took charge of an anemic office not only unwilling to fight corruption, but unable to take on cases vital to public safety. There was a two-year backlog on murder cases with defendants sitting in jail cells awaiting trial. It was one of the greatest challenges for Dilworth – a Yale-educated lawyer and Marine veteran of both World Wars. While Dilworth opened doors for African Americans and women, he literally closed doors to the corrupt underworld of Philadelphia politics. For decades, Philadelphia government and courts worked well for those willing to grease a few palms. There were 26 side-doors into the District Attorney’s offices used by fixers who had been accustomed to coming and going without a record. Dilworth had all these alternative routes sealed, posted a policeman at the main entrance, and required visitors to state their business in writing. After his transformative tenure as District Attorney Dilworth was elected mayor, and later served as president of the Philadelphia School Board. Today, it may be difficult to see Dilworth’s reforms to the office and the city as revolutionary, but at the time they were controversial, and his defense of the civil rights of black citizens and communists likely cost him his 1962 bid for Governor of Pennsylvania. Dilworth and Krasner are very different men with different agendas, but the core problems they address are the same: racism, corruption, and justice. We have yet to see the extent to which Krasner’s character and commitment to reform will be challenged, but we can learn something about where we are and where we’re going as a city by better understanding our past.